Hamid Mir famous Journalist of Geo News which was exposed as well in past for his Anti Pakistan works is exposed once again. Recently his phone call is taped by ISI in which he is talking to a Tehreek Taliban Pakistan Leader. He is calling Khalid Khawaja a CIA and Qadiani agent and asking TTP Leader to ask Khalid Khawaja regarding this. This Tape is also confirming his connections with Tehreek Taliban Pakistan. 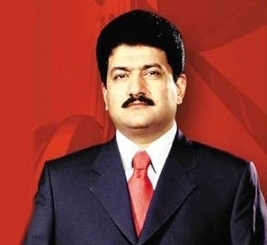 Pakistani Intelligence agencies are now investigating Hamid Mir role in Murder of Khalid Khawaja.